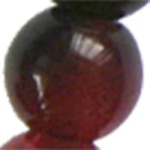 These elegant meditation beads are as convenient as they are beautiful. They are made from natural white jade, a semi-precious stone; that is then dyed into these stunning colors. 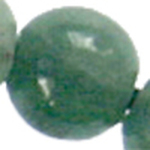 These beads are perfect for wearing on your wrist and discreetly using anywhere. Details: 27 (7mm) semi-precious stone beads and an 8mm stone head bead strung on high-quality elastic string with no knots.